Hot on the heels of his best-selling ‘Jerusalem,’ the phenom’s new book isn’t so much fusion cooking as look-what-happens-when-we-all-get-along cooking. LONDON – Israeli food is having a bit of a moment in London. This summer’s star West End opening was the Palomar, sister restaurant to Jerusalem’s achingly hip Machneyuda. For months, middle class dinner parties have been alive with discussions over its clever, counter-cultural pork belly tagine. Then there’s Honey and Co, the tiny Bloomsbury café sought out for its 24-hour baked spiced lamb and warm manouri salads. And Zest at JW3, the city’s new Jewish community center, executed the near-unthinkable kosher crossover by becoming a destination for non-members of the tribe. 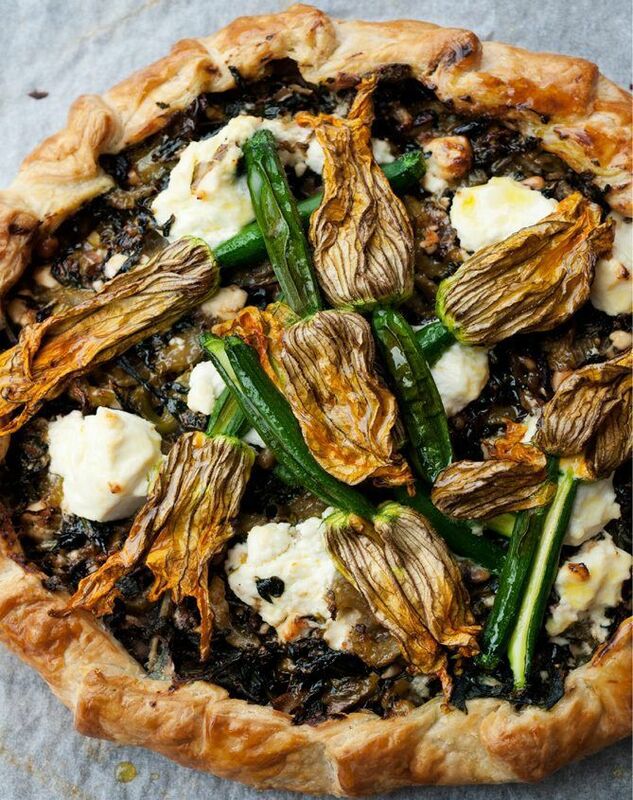 Looming over all of this is just one man: Yotam Ottolenghi, who has just released his fourth cookbook, "Plenty More." This 45-year-old Jerusalemite is almost single-handedly responsible for establishing char-grilled broccoli salad, giant couscous and roast aubergine lavished with pomegranate seeds as modern British deli staples. 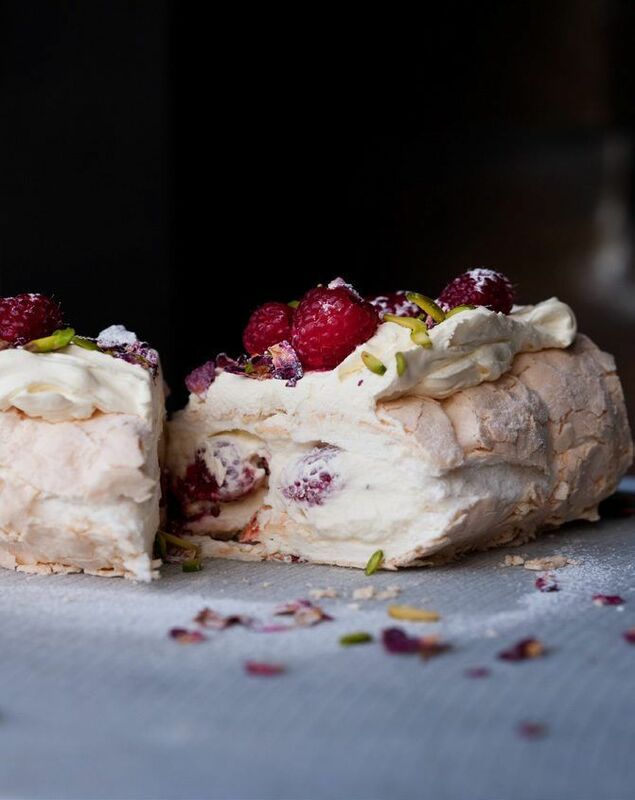 Many of those leading the Israeli trend have served an apprenticeship at one of the four London restaurants Ottolenghi runs with his Palestinian business partner Sami Tamimi. The influence is clear in their informal, exuberant, mezze style meals. Plenty More follows the best-selling "Jerusalem," which he co-authored with Tamimi. That cookbook was an evocative paean to the city’s cuisine, filled with longing and photos of spice shops and ancient alleyways. Plenty More is largely a compendium of columns he has been writing for the Guardian newspaper for the last eight years, when he was commissioned to fill the paper’s weekly vegetarian recipe spot. These days he slips the odd bit of flesh into his recipes, too, but plants are indubitably the star here. It perhaps goes without saying that this isn’t cooking for people who want ideas on how to use up the two wizened carrots in the bottom of the fridge. Arranged by cooking method – grilled, baked, simmered – there are 150 plant-based recipes, all bold and innovative. And they all feature the exhaustive ingredient list and near-impossible to source components that have become an Ottolenghi signature. These dishes evoke improvised, sun-kissed lunches on balmy terraces, dishes liberally strewn with fresh herbs impulsively plucked from terracotta pots. In truth they are often as complex to make as recipes that demand a liter of home-made veal stock, clarified. Launching the book is a tomato and pomegranate salad that looks deceptively simple until you realize it requires no less than four different types of tomato (as well as ground allspice, fresh oregano, pomegranate molasses and much more). Where I live in London, I can buy pomegranate molasses from the local 24-hour shop at 2 A.M. if the mood so takes me. But even with such logistical advantages many of the ingredients listed in the pages of Plenty More give me pause for thought. Cretan barley rusks? Black garlic? This slightly bashful presentation of impossibly obscure ingredients – fennel pollen was the famous one from his previous vegetable cookbook, Plenty – is an intrinsic part of the Ottolenghi brand. And he is so very nice about it. “Forgive me for all the pots and pans here,” he entreats in Plenty More ahead of a lengthy recipe for rice salad with nuts and sour cherries, before beseeching the reader to “please trust me” in advance of explaining the concept behind Brussels sprout risotto. His twitter feed is similarly charming, full of breathless wonder at the latest culinary delight he’s sampled on his travels, all sprinkled with exclamation marks like nigella seeds on turmeric yoghurt. Like a good immigrant, Ottolenghi even embraces the much-maligned cuisine of his adopted homeland. One quiche in Plenty More matches a quintessentially British Christmas cheese, Stilton, with the Spanish quince jam membrillo. Rhubarb, another peculiarly sour and stringy British favorite, is paired with sweet labneh. 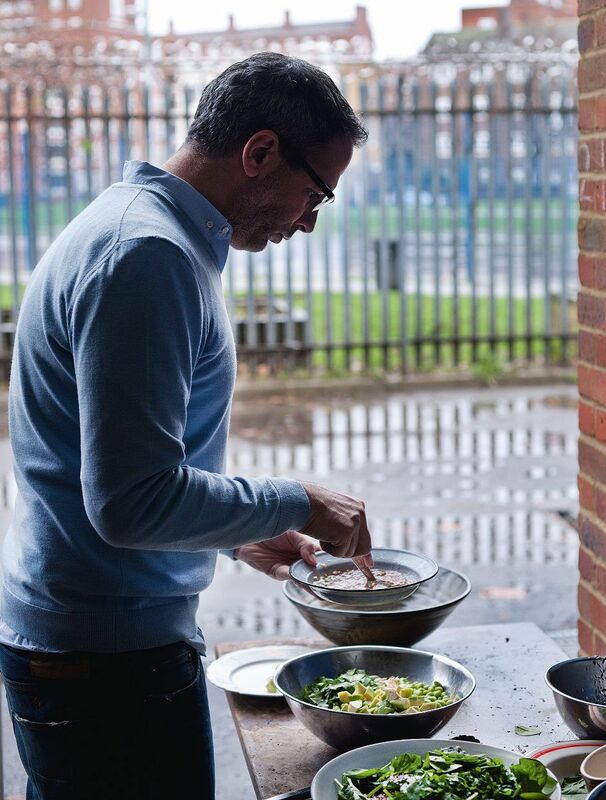 The cuisine of his birthplace is a recurring feature, and altogether, Ottolenghi is very Israeli, but super apolitical; a hard act to pull off. It’s surprising perhaps that the Israeli public diplomacy crew hasn’t tried to recruit him. More likely, they have tried but he has kept his distance, since the only thing Ottolenghi has been known to take an outspoken political stance on is surrogacy – he has a toddler son with his husband Karl Allen. Perhaps the best books on food are aspirational; it’s not just that the dishes look delicious, from the buttermilk-crusted okra to the Alphonso mango and curried chickpea salad (other mangos will do, but he makes a persuasive case for these south-east Asian delicacies, only briefly in season and too imperfect looking for mainstream supermarkets). Ottolenghi also builds a delightful narrative, one that goes beyond the tale of his wildly successful commercial enterprise, built on foundations of friendship with a smart, passionate array of business partners. This isn’t fusion cooking so much as look-what-happens-when-we-all-get-along cooking. Skipping across continents, he takes the food of his native land as well as its less-friendly neighbors, leaps to southeast Asia, and returns to host an informal brunch or an impromptu dinner party. Thus the pages of Plenty More are full of happy stories and a world vision you really want to believe in, as well as sumptuous dishes that you really want to eat. Although you’d prefer someone else to cook and do the washing up afterwards.